Do you have an awesome website that is finally ready to share with the world? Are you finally ready to stop running it on your local server or opening up your files in the browser, and ready to launch it onto the great and powerful internet? I know I was in this situation at one stage. Going from a something running on your computer to something that anyone on the internet can access can be very intimidating. I wrote more about how the internet works in a previous article, but I’ll briefly go over how your site is going to get to people. First, your site needs to be hosted somewhere. What this means is that there needs to be a computer that will send the HTML files to someone when they load the website. This is commonly known as a server, but any computer can be used (the internet is just a massive network of computers). However, hosting a website can be very scary for multiple reasons. First of all, you have to leave the server running and connected to the internet 24/7. This means that either you’re going to have to install a big server in your basement or never turn your computer off. Because of this, using your computer as a server is not a practical idea (unless you have an old computer that you never use). See all those things on racks? They’re all servers. 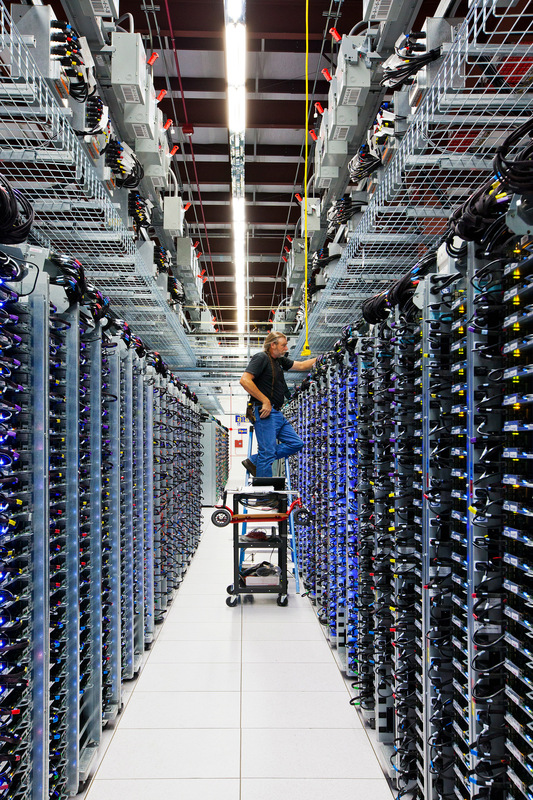 Google needs this many servers (they have centers like these all over the world) because of the sheer amount of people who access Google. Obviously you won’t have as many users as Google, but my point is that the more people view your site, the better your server needs to be. 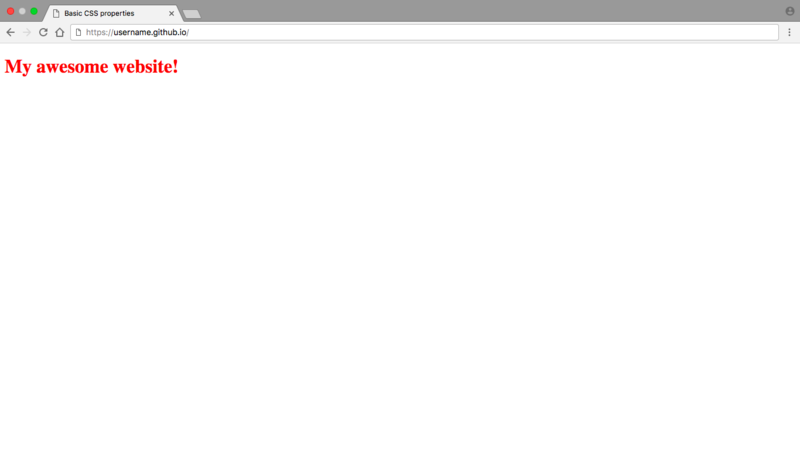 Also, bad servers can make your page load reeaaaally slowly. The final and scariest problem with hosting your own site is security. You will have to connect your server up to your Wi-Fi router, meaning that people from anywhere in the world will be able to access your home network. While there are security measures in place, it does leave you very vulnerable to hacking. Because of all these complications, people usually don’t host their websites themselves - instead, they pay for hosting. This means that you pay to put your HTML files on a server somewhere in the world in a data center similar to the one above, and they will take care and maintain the servers for you. Okay, so you can get hosting for relatively cheap if you want, but still - why pay for stuff when you don’t have to? Let me introduce you to something called GitHub Pages. 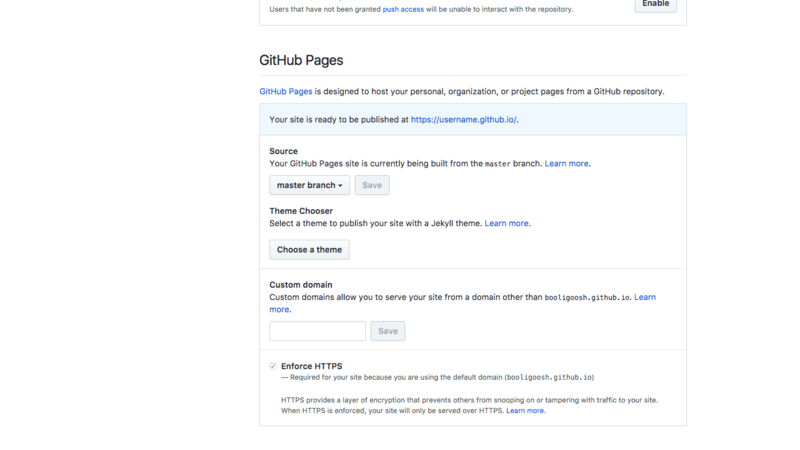 GitHub Pages hosts your website 100% for free. The single drawback is that other people can view all the files in your site, although often this can be a good thing. 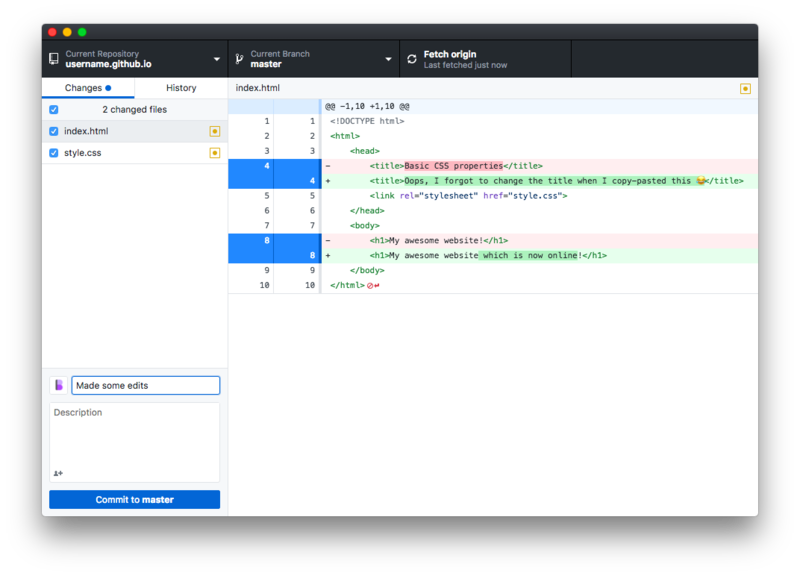 It means that anyone visiting your page on GitHub can see the work that went into making your site. In fact, often employers even select people due to their projects on GitHub (don’t worry, you can always delete them later if you feel they’re not your best work). In this tutorial, I’m going to show you how to host your site on GitHub pages and sync GitHub to your computer so that you can make edits easily! Note that this tutorial assumes you already have a folder with a website in it. If not, create a new folder and add basic index.html and style.css files. First of all, you’re going to need to sign up for an account at Github.com. I’ll be right here when you get back! Once you have installed GitHub Desktop, sign into your account (as detailed here). 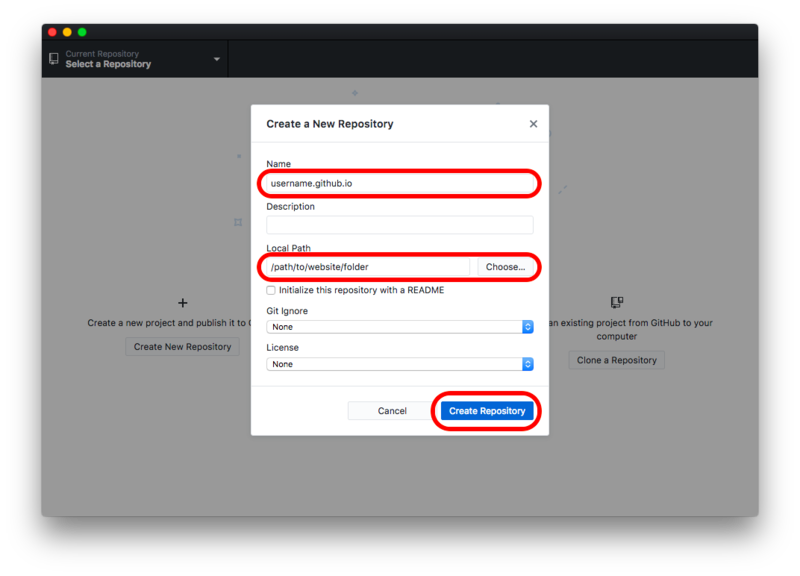 First, you need to create your repository. A repository is the place where you store all the files for your website, similar to the folder on your computer that contains your website. Each repository has a URL where the hosted site ends up. There are two types of repositories: user repositories and project repositories. For this example, let’s say your username was ‘example’. Your user repository would be hosted at example.github.io. Now let’s say you did a random number generator and called the repository randomnumber - then it would be hosted at example.github.io/randomnumber. In this case, let’s say we’ve coded our main website - so we want it to be our user site. This means that instead of naming our repository something like randomnumber we need to name it example.github.io. For example, my GitHub repository name is booligoosh.github.io. Fill out the summary saying what you did, then click “Commit to master”. This is just tech-lingo for “save my changes to the repository”. 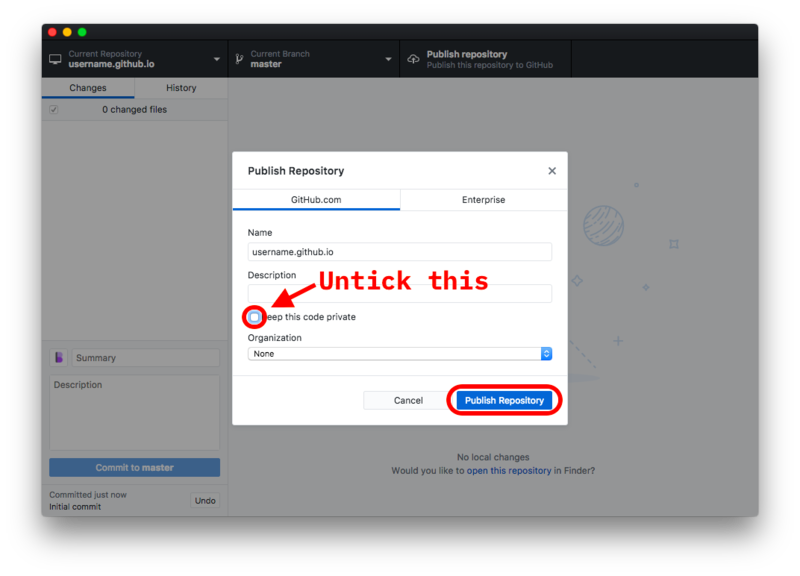 Next, click “Publish Repository” in the top right-hand corner - this will send your code to the GitHub servers to be hosted! 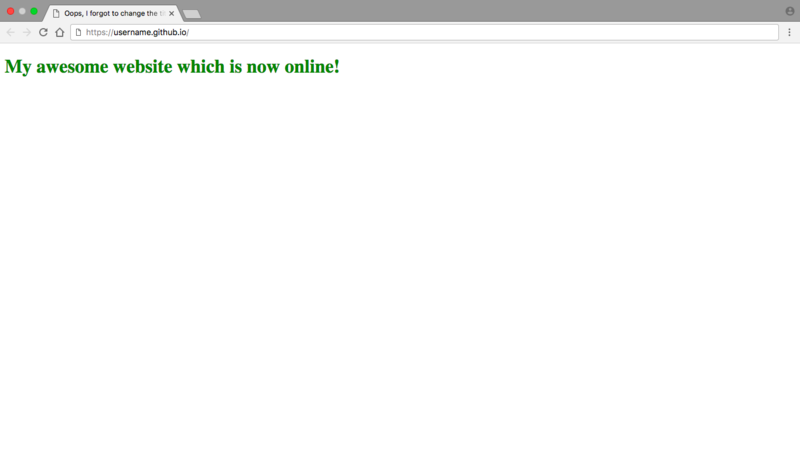 Next, we need to configure the settings for our website to be hosted! Go to github.com/yourusername/yourusername.github.io (eg. 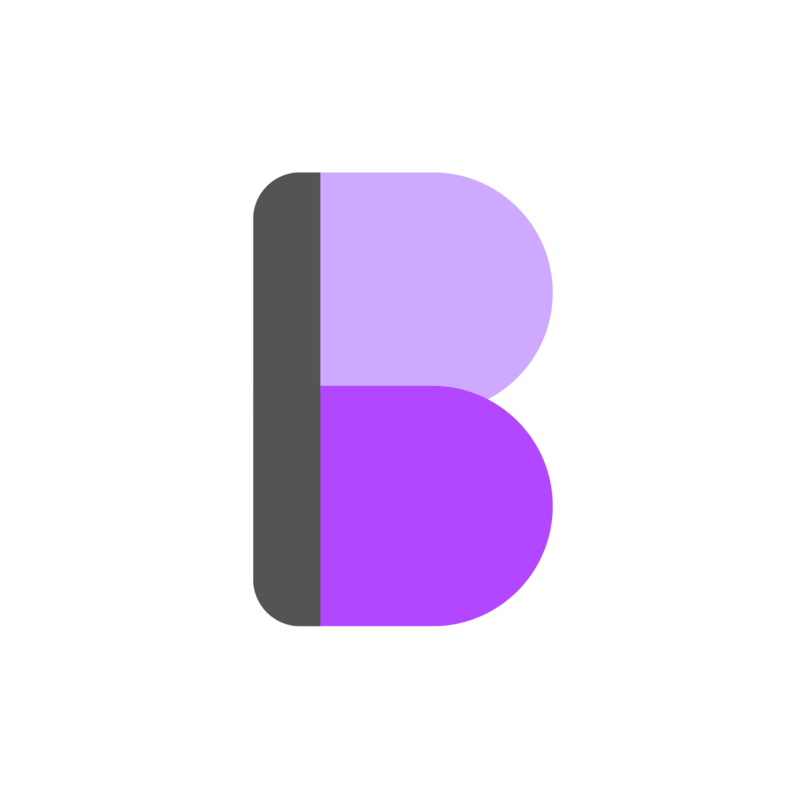 github.com/Booligoosh/booligoosh.github.io for me) and click on the ‘Settings’ tab. 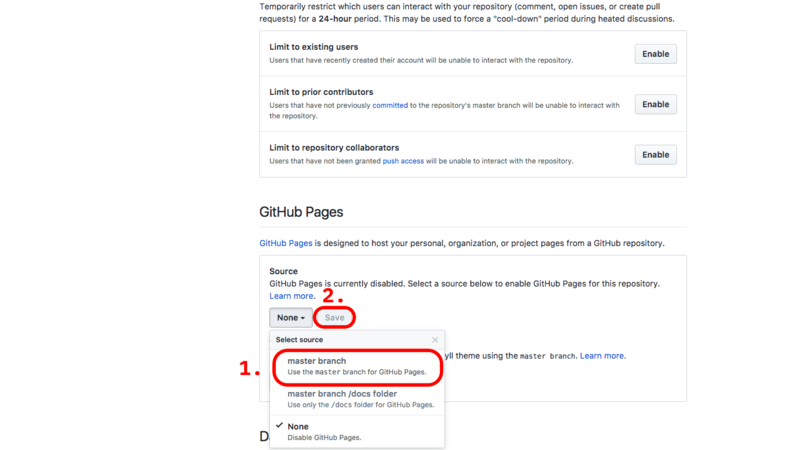 Scroll down to where it says GitHub Pages, then click on the dropdown. Select “master branch”, then click “Save”. Yay! Now click on the link to take you to your new site! You now have a website! We’re nearly done! The last thing to do is to make a change to our website, from our computer! First, slightly modify your code in some way. Now, go back to GitHub Desktop - it will even show you a summary of what you changed! Fill out your commit summary and hit the commit button! 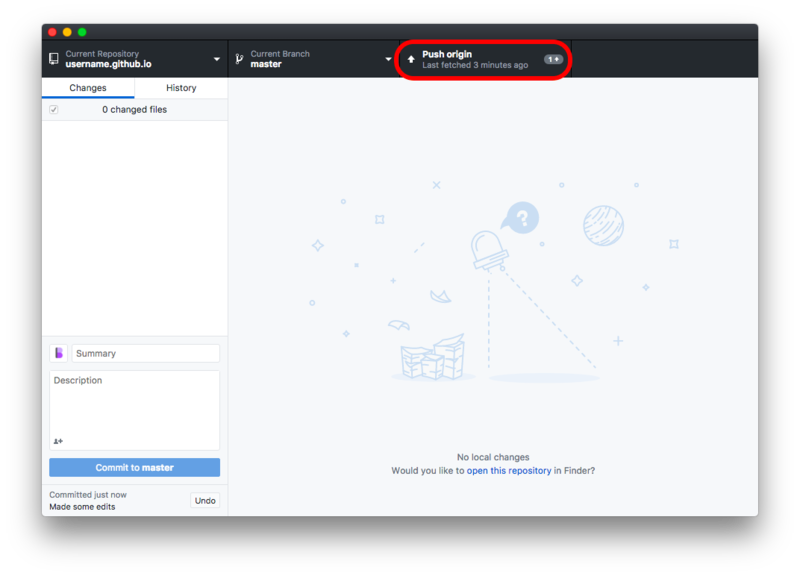 Now, click “Push origin” in the top right-hand corner (where the publish button used to be). This is just tech-lingo for “Upload my changes to GitHub’s servers”. Now, wait for a few minutes. The time may vary, but often your site could take ~5mins to update (keep reloading the page to check). Eventually, the changes will load! Oh! And if you have any feedback, need any help or just wanna say howdy, do so in the comments below. Don’t forget to share, subscribe, and I’ll see you next time!